And hanging out with my girlfriends Janie and Sandy on the West Gulf beaches. And then…. there’s been the Shellaboratory. I’ve been working every day trying to get our shells back in order and doing some remodeling. The floor is done (sneak preview of the shells I painted on it ) but all our shells still need to be sorted again. “Why” you ask? Because it looked like a shellnado whipped through the shellab after the shelldazzling of….. Shell Love Bug will be a shellebrity at The Celebrity Island Dinner for the fundraiser for our fabulous Bailey-Matthews National Shell Museum on Sanibel Island at Traders October 3. Remember a few years ago when I dressed up as Shelly Temple hahaha (click here) ? Yep, this is the same event but unfortunately, the event sold out very quickly this year… although…. you can still play a part of the event. Wanna show some love for Shell Love Bug? 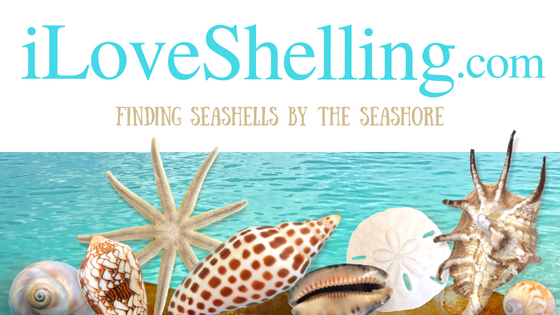 Help spread the shelling love …. give Shell Love Bug a “tip” as a donation to the Shell Museum. Shell Love Bug spreads the shellove of seashells and so does the museum. So glad you were able to take a trip and spend time with family and friends Pam. WIth all that you have going on I am sure it was a welcome and wonderful break. LOVE your violet juvie! Have been checking for new Shell Love Bug Tour dates and was thrilled to see that she will be out and about the first week of Oct when we are down there. Looking forward to seeing her! I love reading your emails about all of the shells. I have only been to Sanibel one time, 2 years ago and I absolutely loved it. I wanted to tell you that I love that silver shell bracelet that you have on in these pictures. Where did you get it. I would love to have one. Hey, North Carolina girl here. Just wanted to follow up and see if your still using your Panasonic camera. Your last post in 2015 indicated you bought yours at Costco, and they have one now too. Just Checkin’! We are going to the BVI and trying to decide if I want to go this route instead of my Nikon J1! Are good. Have a great time in bvis! Pam thank you for the blog and great pictures! Loved seeing the jackknife clam as I’ve even heard of it ! I look forward to your posts! Pam- tried the go pro too-so true-way to involved! Might stick to my Iphone 6! Thanks for your input! Looking foward to the BVI’s but really want to come your way again soon! Our family stayed in Sanibel in August. It was much need to be with family. Our daughter, son and daughter-in-law were not so excited about coming as there would not so sure of what to do. They have become shell wonders by the time we left. Our daughter learned to tell what the shells were with her toes while in the water. She found an 18″ horse conch and we were so excited. We renamed her the Ocean shell whisperer. Our son also became so good at finding great shells on land that everyone started calling him the land shell whisperer. After their brother and our son past away this past year this was what was needed. We have already reserved to come back next year. ALL OF US. I think you should resurrect “Shelly” to drive the Shell Love Bug!! You are both adorable and make life on Sanibel fun. Can’t wait to get back, but your blogs satisfy and entertain in the mean time, Pam! Thanks so much!! Hi Pam, I’ve been watching your videos for a while now, and I absolutely love them. I truly love seashells, and have collected them over the years, but I have never been to a beach where there are so many wonderful finds like in your videos. I’m 62 years old, and my dream has always been to be on a beach with loads of shells like those on Sanibel. I have decided that this is my bucket list wish, and after watching many of your videos I really have the fever. My husband and I are thinking of going to Sanibel around the first to second week in November, and I want to stay somewhere where I could be as close as possible to the beauty of nature. I was looking at Casa Ybel Resort. I’ve never been there so I have no idea how close everything is to each other. I’m not sure if we will be able to really get ourselves there, but I have been completely excited by your videos, and the idea of having such a wonderful and happy experience come true. I have already read through all the great information you so kindly give us, but if there is any ideas for best places, etc. that would be wonderful. I love the first picture with the sand dollar. Great content and arrangement of shells. What talent! Love you and wonderful to see you. Oh Mary, you will love Sanibel I’m sure. Almost everywhere you are is close to nature. :) and most hotels on the beach are nice here but my fave is the historic Island Inn. It’s lovely with an old beach cottage charm but with all the modern conveniences. Thank you for your sweet note and look forward to maybe running in to you on the beach.